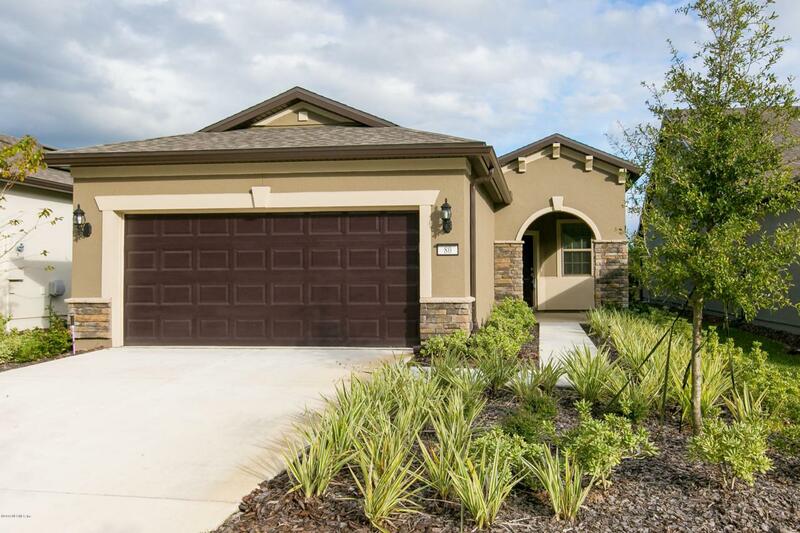 Welcome to gated 55+ Del Webb Ponte Vedra in Nocatee. We are offering FOR RENT a brand new Steel Creek model w/2 bedrooms & open floor plan w/eat-in kitchen cafe' area & tile flrs in the main living areas. Owners also enjoy the Anastasia Club in Del Webb w/indoor & outdoor pools & spas, sauna, steam rm, pickle ball, tennis, bocce, fitness center & full time activity director. There are dozens of clubs for you to try! Del Webb is just minutes away from the Nocatee Splash Park & Town Center and only 10+ minutes from PVBeach shopping, restaurants, clubs & toes in the ocean! Nocatee is a golf cart friendly community! No Cats. Dog Permitted On A Case By Case Basis. LANDLORD PAYS FOR LAWN & PEST CONTROL SERVICES. TENANT PAYS FOR ALL UTILITIES. PROPERTY IS ALSO FOR SALE MLS 968303.